This weekend, the X-Men prequel trilogy will come to a close with X-Men: Apocalypse, which is set in the year 1983. 20th Century Fox is currently developing a number of spinoffs such as The New Mutants and Gambit, and producer Simon Kinberg confirmed earlier this month that the next X-Men movie will be set in the 1990s. Although he wouldn't offer any more details. Since X-Men: Apocalypse features younger versions of several iconic X-Men mutants, some have wondered if we'll ever see the original cast from the first X-Men trilogy back together again. It seems director Bryan Singer actually does want to make this happen. The prequel trilogy started with X-Men: First Class, which was set in the 1960s, followed by X-Men: Days of Future Past, which was set in the 1970s but featured a plot that altered the entire X-Men timeline, including a new present day where Jean Grey (Famke Janssen) wasn't killed, essentially erasing some of the events that took place in 2006's X-Men: The Last Stand, which Bryan Singer did not direct. 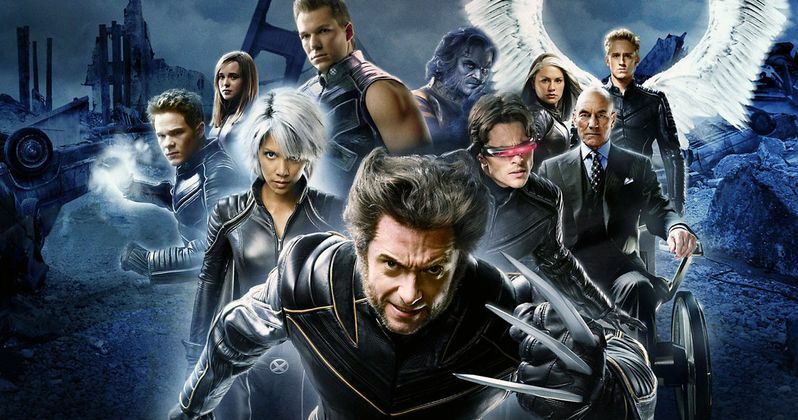 Bryan Singer recently spoke with Fandango, where he was asked if he'd like to bring the entire, original cast from the first X-Men trilogy back together for a new movie. Here's what he had to say below. "I hope so. The night we had a little screening for the cast, I went and saw Patrick Stewart's wife sing at a local venue with Ian McKellen. The two of us were sitting there watching Patrick's lovely wife sing - she has a great voice - and I was thinking, yeah, at some point it would be lovely to see them all again. They're all great actors and great people, and I had great experiences with them. I'd love to see that happen - it's just you have to figure it out. How do you do that? You can't do it for the sake of doing it - you have to do it right. Or else it's just one of those cobbled-together things." The closest thing we've gotten to this reunion was 2014's X-Men: Days of Future Past, which featured several members of the original X-Men trilogy, although some only appeared in cameo roles, like Famke Janssen's Jean Grey and James Marsden's Cyclops. With this new timeline in place, it isn't exactly known how the original cast could come together, or if Bryan Singer is even contemplating creating a story that would reunite all of these actors. There is another factor to be taken into consideration, though. Production is currently under way on Wolverine 3, which we've known for quite some time will be Hugh Jackman's final performance as the iconic Wolverine. The actor has said numerous times that he'll be "retiring" Wolverine after this movie, but if Bryan Singer plans on bringing the entire original cast back for one more adventure, it's possible that Hugh Jackman could be coaxed out of his Wolverine retirement. Naturally, nothing is set in stone for this X-Men reunion but we'll keep you posted with more updates as soon as they surface.